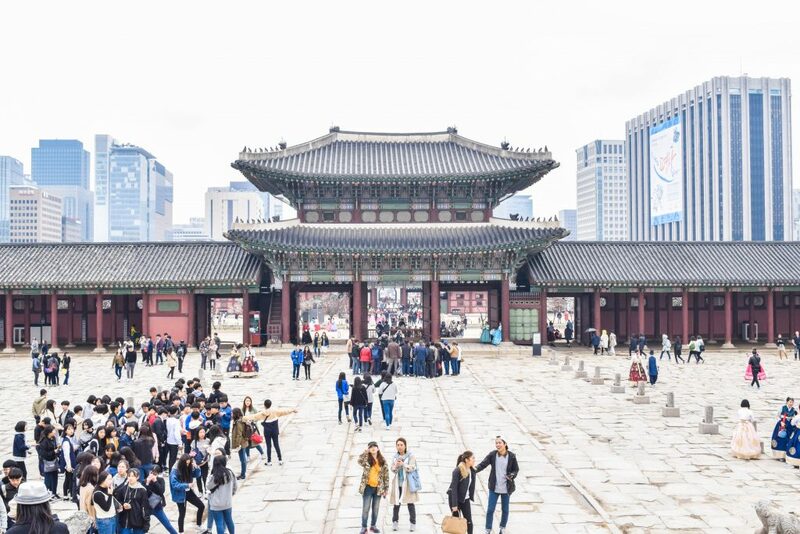 Seoul has the perfect mix of history, culture, the arts and nature. Imagine skyscrapers, hanok villages, mountains, great restaurants, cute cafés and of course lots of shops and street food stalls. It’s a really photogenic destination and there plenty of Instagrammable places in Seoul. Together with my friend Kaitlyn Knoll from Wayfarerkate.com, who used to live in Seoul for several years, I made this list with some of the best places to take pictures in Seoul. 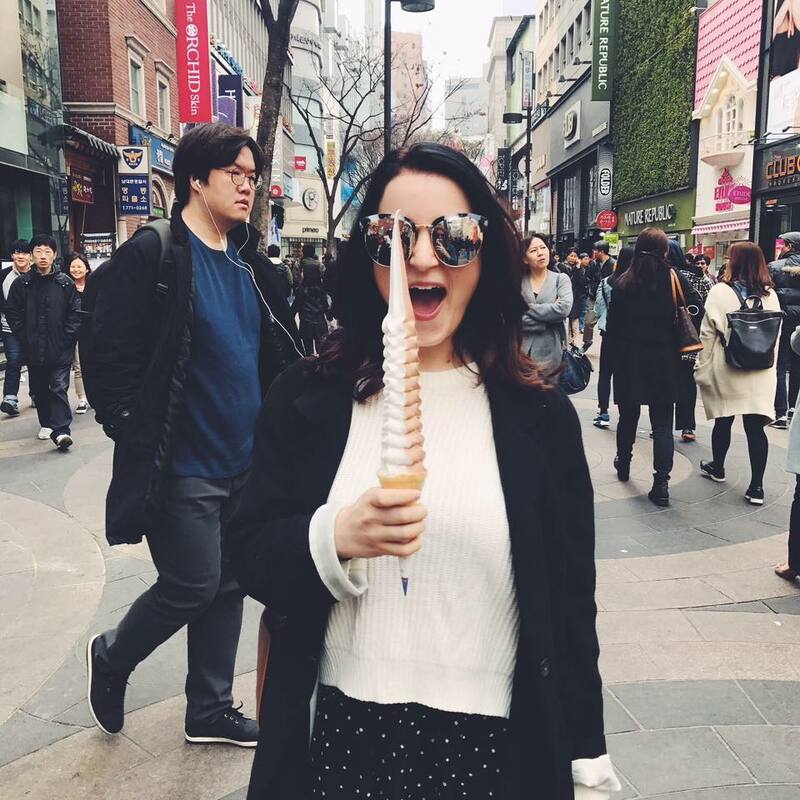 Check out Kaitlyn’s blog for more about Seoul and Korea in general and her Instagram for more photos and inspiring captions. 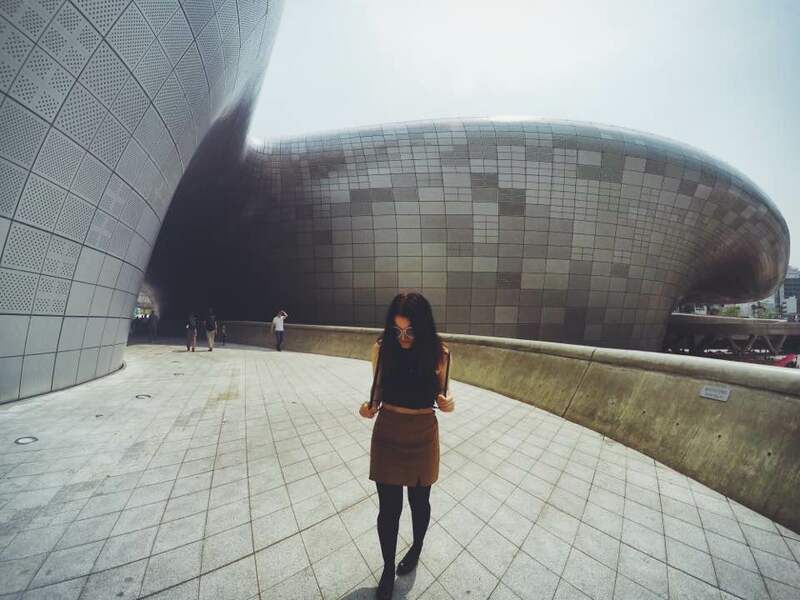 You’ll definitely find some Instagram spots in Seoul on her page! One of the best times to visit Seoul is during Spring, especially when the cherry blossoms bloom (the peak is usually in the first week of April), but the places we mention are worth going to any time of the year. Check out these 14 Instagrammable places in Seoul with pretty temples, impressive palaces, unique shopping areas, foodie heavens, architectural wonders and much more! 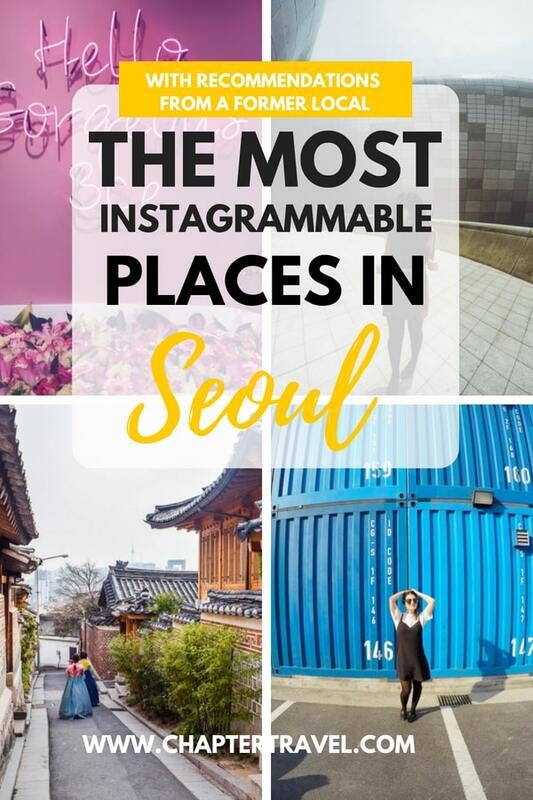 Of course your visit to Seoul shouldn’t only be about the gram, so these places aren’t only photogenic, there are very interesting too (or have delicious food & drinks 😉 ). Jogyesa Temple is a colourful Buddhist temple, located right in the city center of Seoul. The main temple building, called the Daeungjeon, is painted in different colours. On the ground of Jogyesa you can find trees that are over 500 years old. The trees and temple building are connected by colourful and white lanterns. 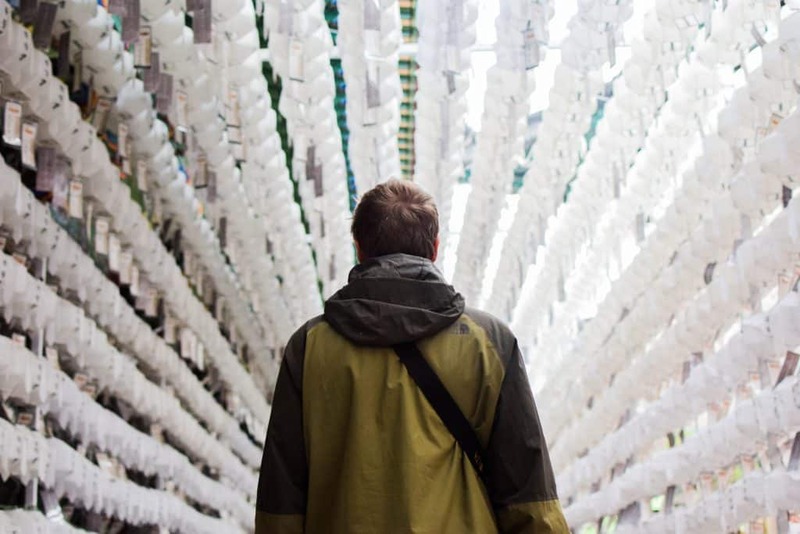 These lanterns can be found all over the temple grounds and is what makes this spot a very Instagrammable place. Because the Jogyesa Temple is quite small, it can be a quick visit on the way to other places in the center of Seoul. Definitely don’t skip this place, as it will definitely bright up your photo feed. Korean traditional houses, which are called hanok, are very photogenic. In the Bukchon Hanok Village you can find lots of these traditional houses. It’s actually a real residential area, so people still live there. A lot of hanok villages are created for tourists to explore, and are purely a tourist attraction. 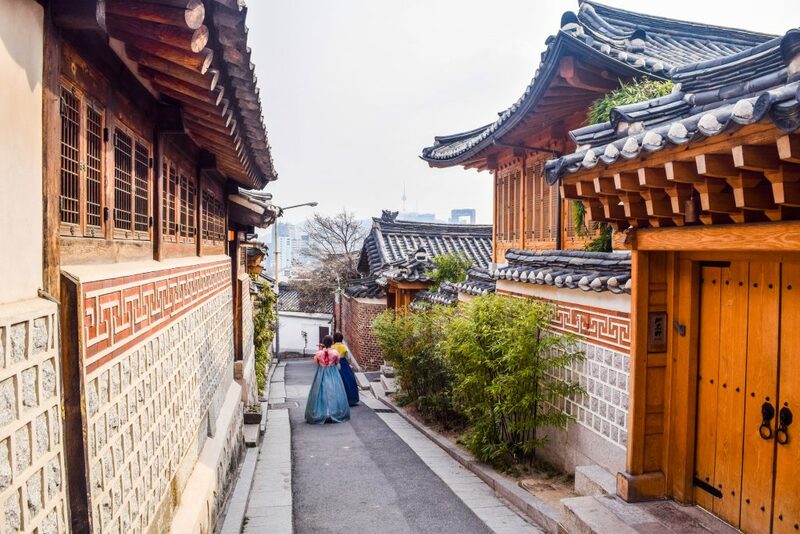 In Bukchon Hanok Village you can explore the Korean architecture, small hanok galleries, workshops and restaurants. You also have a view of the city center of Seoul as backdrop. This creates a cool contrast between the modern and traditional Seoul. Another very photogenic and Instagrammable place in Seoul is Changdeokgung Palace. This historical place is a UNESCO World Heritage Site and is one of the most well-preserved royal palaces from the Joseon Dynasty. Gyeongbokgung Palace or “Palace Greatly Blessed by Heaven” once was the heart of the capital city of Seoul. It’s also Korea’s most famous royal palace and should definitely be included on your list for must sees in Seoul. There are a lot of pretty photo opportunities in this temple. Just like Changdeokgung Palace you need plenty of time to explore the grounds. 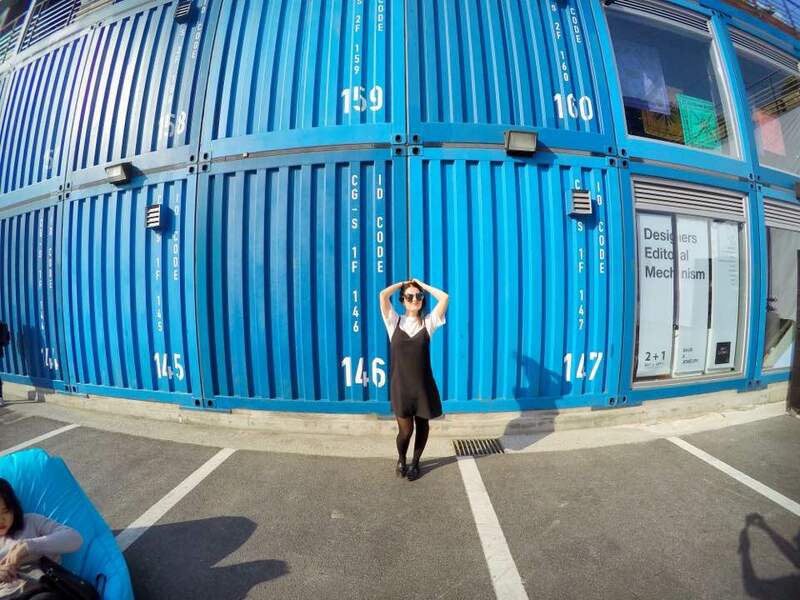 Photo by Kaitlyn Knoll. .
Common Ground is South Korea’s first pop-up store built with 200 shipping containers. It’s a trendy shopping district, located in the eastern part of Seoul. At the shops they mostly sell unique, young fashion brands. But next to the fashion brands, you can also find independent cafés and gourmet restaurants. There is a central square where you can find the main pop-up of that week. Each weekend there is also a market. Common Grounds is also a hangout spot, and on some days there are events, exhibitions or performances to entertain visitors. Common Ground is a photogenic place, mostly because of the striking blue containers, but it’s also a cool place where you can find unique products and enjoy the day with a group of friends. Another great place for shopping is Sinsa-dong Garosu-gil. The main area has beautiful ginkgo trees, a lot of cool shops, open studios, restaurants, bars, cafés and a unique bohemian vibe. At Sinsa you can take lots of great photos, but here you can also grab a bite to eat, do some shopping or just hang out with friends. Photo by Kaitlyn Knoll. 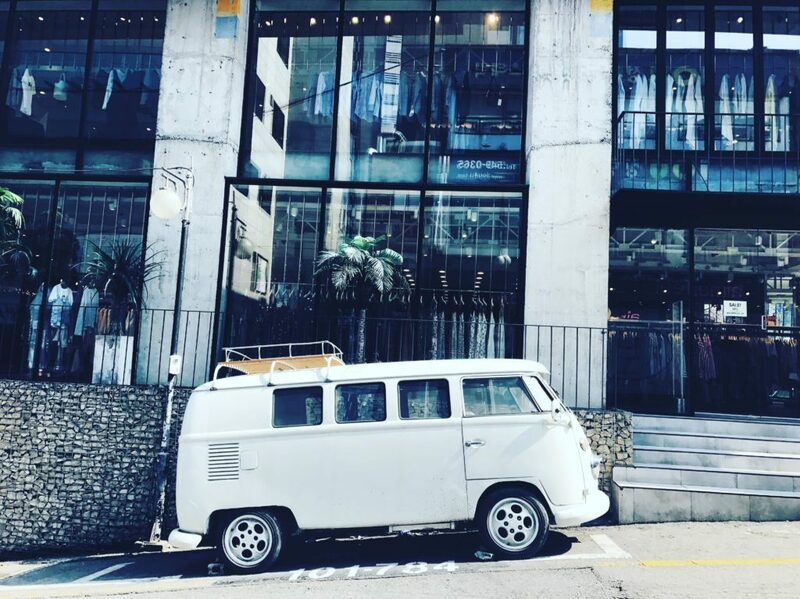 Read her post about her experience of the StyleNanda store and other cool spots in Seoul. One of the most Instagram worthy cafes in Seoul is the StyleNanda Pink Pool Cafe in Myeongdong. 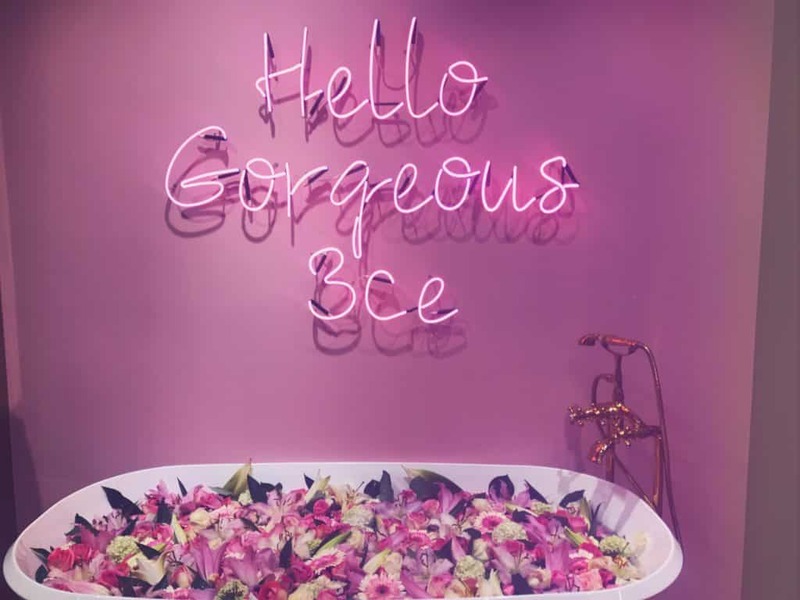 The whole place just screams to be photographed: from coffee with a cotton candy cloud to bath tubs filled with flowers. So next to being photogenic, what can you actually do at StyleNanda? Well, even though it’s a “hotel”, it’s not really a hotel (can you still follow?). It’s a themed shop and there are “hotel rooms” with beds, but these are merely the fitting rooms. So, in the end you can’t spend the night here but you can buy food, drinks and clothes. And take lots of pretty photos. Myeongdong is definitely a place that shouldn’t be skipped during a visit in Seoul, whether you’re looking for a great place to shop or eat. Do you want to get baked in Seoul? Then head over to Mr. Holmes Bakehouse. This concept came all the way from San Fransisco, California! Mr. Holmes Bakehouse specialises in croissants and is mostly known for their cruffins. Cruffins?? Yes, Cruffins. These are crossaint-like muffins. It’s soft and buttery and comes with various cream fillings. Next to the cruffins, Mr. Holmes Bakehouse in Seoul has other delicious baked goods, such as donuts, regular croissants, matcha croissants, Sticky buns with salted caramel and much more. Of course they also serve coffee and other beverages. I’m hungry now. The Gwangjang Market is the first and oldest permanent market in Korea. 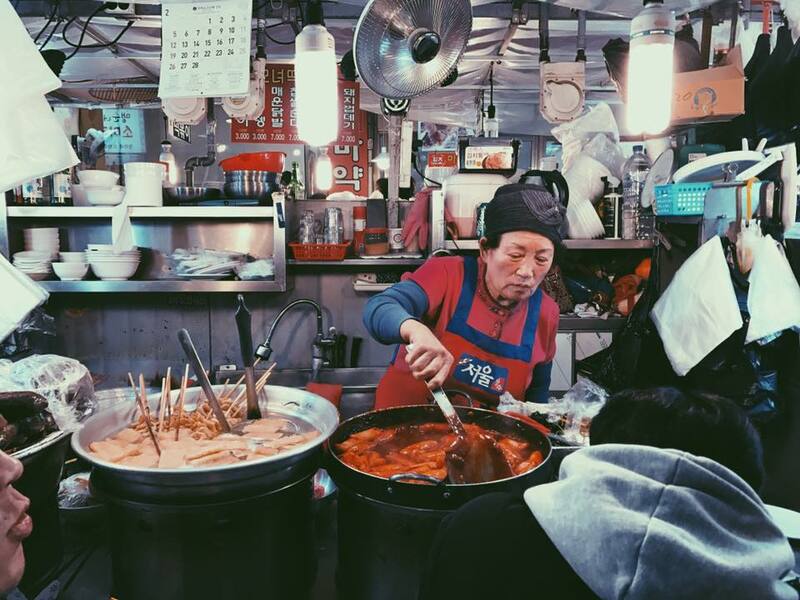 This market is the best place to experience traditional Korean street food. You can find any type of Korean food in this market, so you could even have your own little food tour in this indoor street food court. Think of Gimbap, Tteokbokki, Soondae, Bindaetteok and fresh seafood. Gwangjang Market remains very authentic and really shows the Korean cultural heritage and charm. Next to food, the market also offers stalls with clothes and other market goods. It’s the perfect place to grab a bite to eat and take some unique snapshots! Photo by Kaitlyn Knoll. Read her full post about DDP! Dongdaemun Design Plaza, or in short DDP, was designed by the world renowned architect Zaha Hadid and is the world’s largest atypical architecture. It was designed as a key venue at the center of Dongdaemun, an historic district in Seoul that is known for its 24-hour shopping and cafés. At DDP there are lots of design-related events, shows and exhibitions. DDP was actually the most Instagram tagged location in Korea in 2015. It’s a very unique place and should definitely be included in your itinerary for Seoul, especially if you’re an architecture enthusiast. Photo by Kaitlyn Knoll. 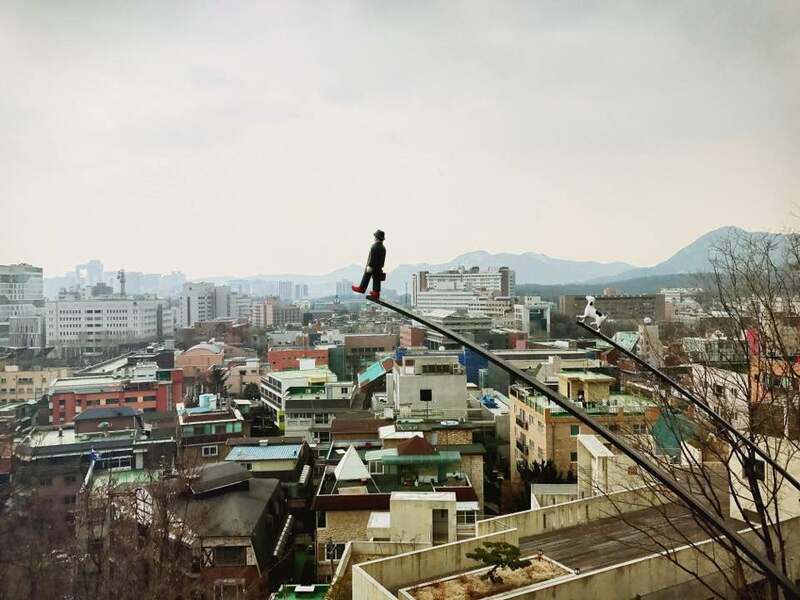 Read her post about Iwha Mural Village, Common Ground and more places in Seoul! Iwha Mural Village is set on the hillside, so prepare for a hike up! To get here you need to walk along the Seoul city wall near Daekhakno district for about 10 minutes. In this area you can find a lot of beautiful murals in varying sizes on walls, fences and rooftops. These were created in 2006 by 70 artists under the “Art in City Project” by the Ministry of Culture, Sports and Tourism. The art created a cool street vibe and offers many great photo opportunities! The locals weren’t too happy with all the street arts, as it created an influx of tourists. Some of the art has been removed, but there is still enough to explore. L7 Hotels Myeongdong is by far one of the most Instagrammable hotels we ever stayed in! This trendy boutique hotel is located right in the center of Seoul. 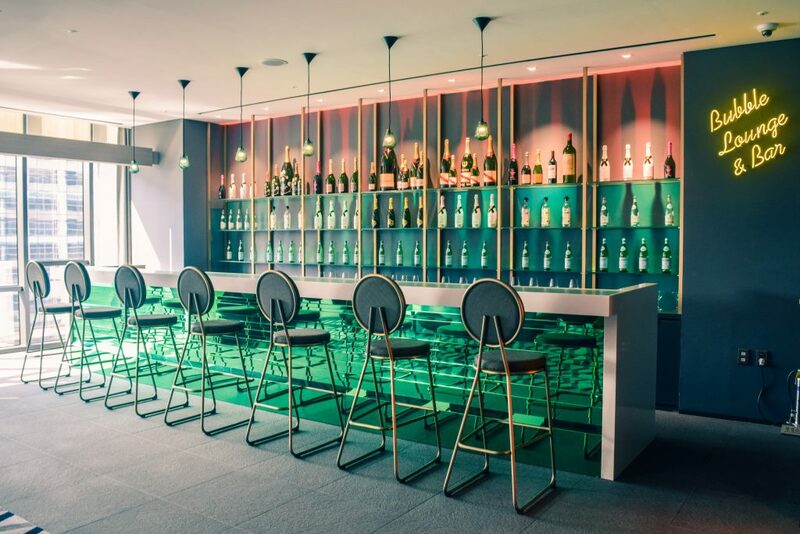 The interior of the hotel is cool, with lots of art, quirky vending machines and Instagram worthy seating areas and table settings. It’s the perfect place to stay in Seoul too. If you’re not planning on staying in this hotel, I bet you can still have a peek by getting something to drink at the bar. Be sure to check out our post Seoul in one day for more pretty photos of this hotel. Seoul really offers something for everybody. If you’re an nature enthusiast, you should visit the Bukhansan National Park for a hike. Located in the northern part of Seoul, Bukhansan can offer a view over the city center of Seoul and the Hangang River. 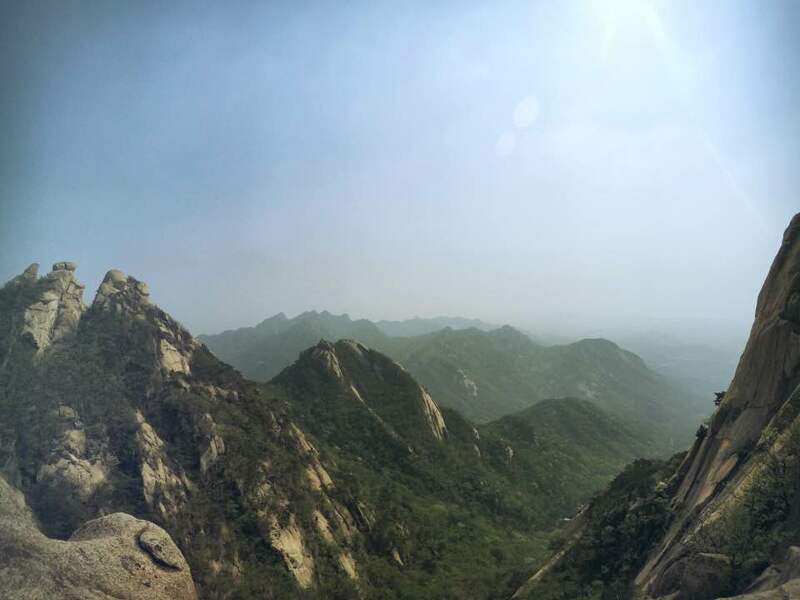 The name means “big mountain in the north” and is the perfect place if you’re looking for a work out in nature. You can hike here in all seasons and each season offers a different kind of scenery. 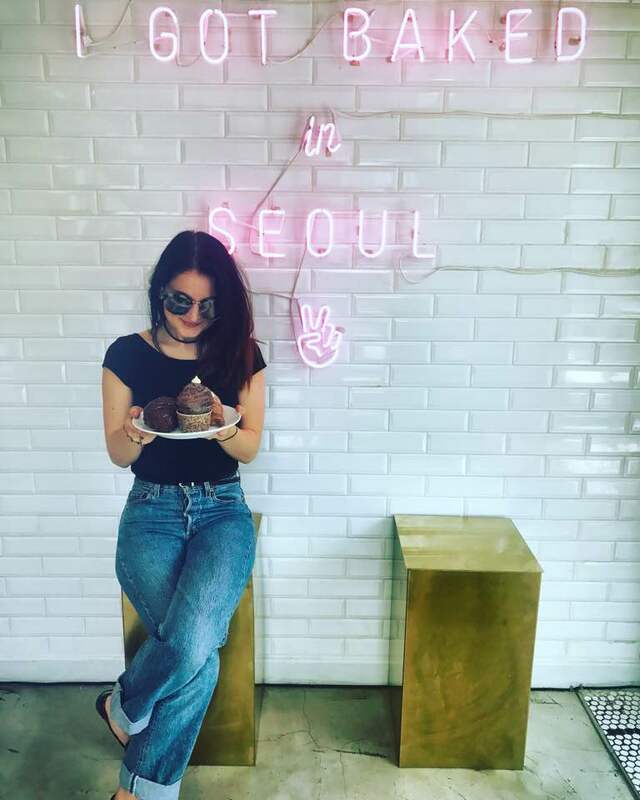 Read why Kaitlyn eventually left Seoul! Seoul is a very cool city where you can eat lots of delicious food, explore interesting history and culture, and take some very cool shots. 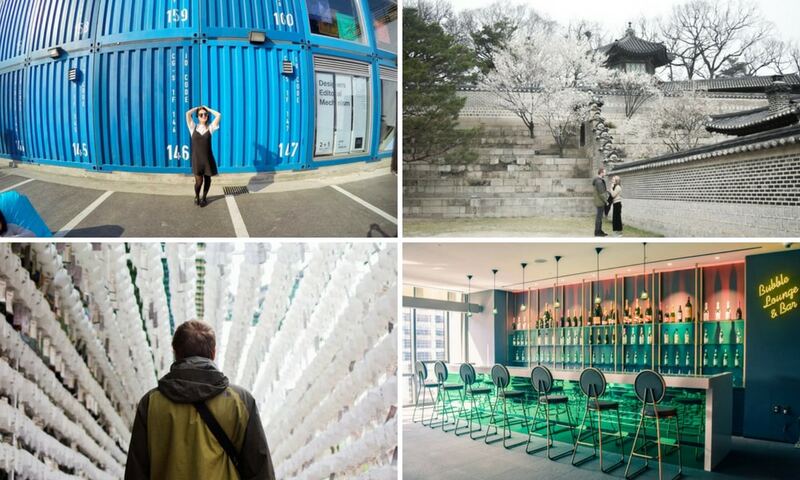 These were the 14 Instagrammable places in Seoul! If you’re looking for some cool tours in Seoul, be sure to check out this page by Get Your Guide. Have you ever been to Seoul? What was the coolest place you visited? Great photos. And that ice cream cone–how did your friend eat it? Definitely will check these out when I get to Seoul. Haha I think very fast!! these photos are all amazing! i love the variety of places and each one is special. thanks for sharing!